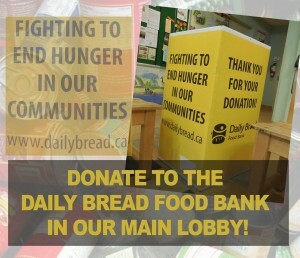 Swansea Town Hall is a donation location for the Daily Bread Food Bank! Next time you stop by for an event or class here, or if you are in the neighbourhood, why not drop off some non perishable food items in our Main Lobby? Or … click here to donate $ to help them feed Toronto’s hungry. 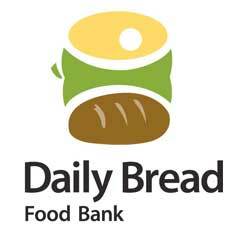 Thanks from the Daily Bread Food Bank AND Swansea Town Hall!